I didn’t know the woman who spoke these words but they broke my heart, nonetheless. Most likely since I can relate. I think many of us can relate to this anonymous woman, but we don’t talk about it openly. Friend: Hey, Diane how are you? Me: Oh, great! Just getting some lunch stuff and thinking about how I can get on Saturday Night Live. The reason its so fun to ask children what they want to be when they grow up, is because THEY KNOW NO LIMITS. Seen or or unseen – everything is available. Children are not bothered by logic, reason or even the laws of physics. This, by the way, is also why it’s so fun to ask them how the banking system works or how to bake a cake. 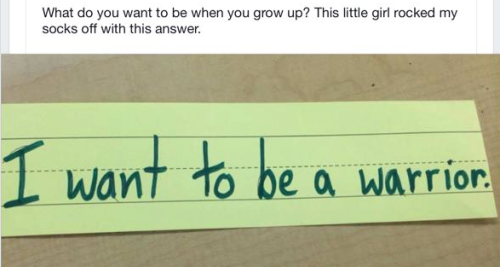 The awesome answer to this question is from a first grader and submitted to Amy Poehler’s Smart Girls Facebook page. As we grow in our knowledge, skills and abilities, we unfortunately take on a heaping dose of limitations as well. I can’t remember the exact time I realized I was not going to be a cast member on SNL, but I wouldn’t doubt if it coincided with very well-meaninged people beginning to answer the “what do you want to be when you grow up” question for me. Carefully placing dreams in a separate, “that’s nice” category and slowly introducing a new “makes sense, it’s reasonable” category. So when my friend, a doer of good and seer of dreams, heard HER friend quietly say “I never dream for myself,” she asked me to make a little something to remind her to do just that. This is how I came to have dreams on my mind. In my last post, I talked about Rachel Macy Stafford’s new book Hands Free Life. I’ve been reading an advance copy so that I can share it with you, and have found so much inspiration. When do the hesitations start? When did they start for you? It’s along the same lines as securing your own oxygen mask before helping someone else secure theirs. We can model bravery, risk-taking and dream making for the little ones in our lives and I’m guessing they’ll learn more from watching us than they would hearing us tell them they can do anything they want. Don’t worry, I am aware that not everyone will take enough physics to make it to the Space Station, just like not everyone has rhythm. I mean, I can’t even go underwater without plugging my nose. But I didn’t need someone telling me I’d never be a good swimmer in order to realize that myself! So friends, let’s do this. If any “new & frightening ideas” pop into your head this week, give it a minute. Play the “what if” game just a little while longer. 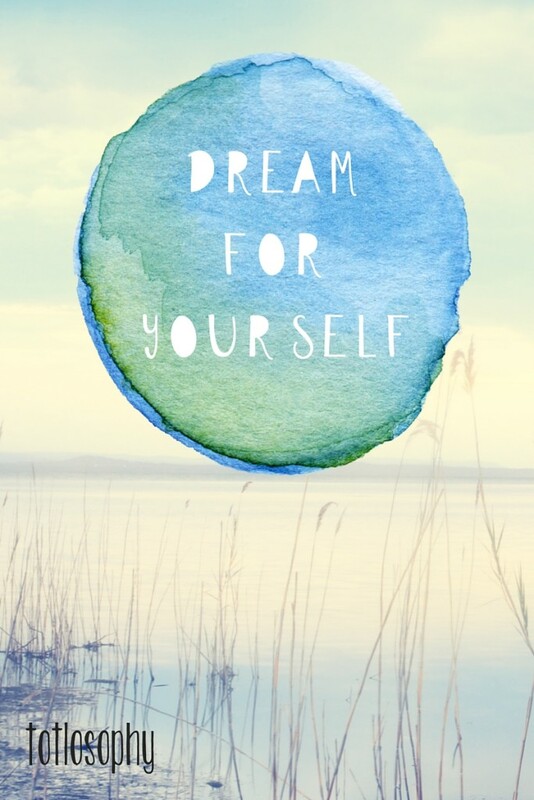 ENJOY THE DREAM BEFORE YOUR ALARM CLOCK GOES OFF! Then go ask a five year old how to make a cake. It made me smile to have this message staring back at me while I worked on it! It features the beautiful “Handwriting Draft” font by fontscafe.com. 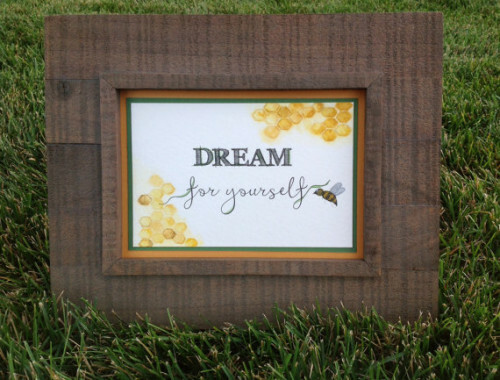 If you need your own little honeybee reminder to dream for yourself, visit me own! This entry was posted in Stationery Story, Story behind the stationery and tagged dreams, Hands Free Life, Hands Free Mama, Rachel Macy Stafford, totlosophy. Lover of story-telling, coffee, stand-up and making connections. I combine all these things to make personalized watercolor stationery. This is where I share the stories behind them. ← The gift of you being you. “ENJOY THE DREAM BEFORE YOUR ALARM CLOCK GOES OFF! YES! A thousand times YES! I love what you are inviting … inspiring … and sparking here. I am so honored to be part of the story. Thank you, my talented friend. By honestly sharing your story, you my dear, are the one who invites and inspires others to pick up their pens. I appreciate you taking time to read my little corner of the web and share your thoughts! Thanks Milena. It’s so important that we continue to take the time to get to know ourselves!